The story of Borderline Personality is one that is now being held hostage to biopsychiatry and its oppression. Many people take on the ways that BPD is defined and described as an identity in what is the absence of a known self that creates a need to search for identity from the ashes of a lost authentic self that has been lost to both abandonment and the shame of abandonment. 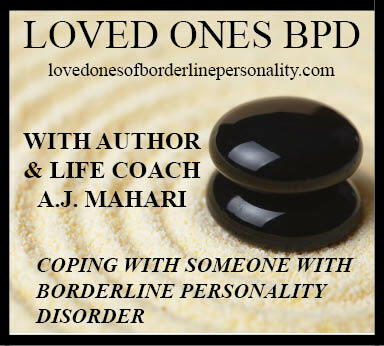 Borderline Personality, itself, may be a story that has been created for you. That doesn't mean your experiences aren't very real - of course, they are. What it means is that the lens through which you have seen yourself, your life, and your relationships, and that you have felt everything so intensely as a result of has put a negative spin on the story of your life in ways that can be shifted. Shifting the paradigm of not only the story but the meaning of Borderline Personality. Shifting the paradigm of Borderline Personality in ways that will render it less and less meaningful. And, in ways that will give you your first lasting taste of freedom from its grips. In a new BPD Coaching Program Beyond Borderline Personality that I am working with clients with BPD in who want to move beyond BPD and create a life worth living I can support your getting unblocked and teach you skills that will raise your awareness and help you to get to know yourself in new, healthier, and more meaningful ways. I have walked this walk - walked this path, 15 years ago. I can teach you skills and support you as you learn to practice these skills in ways that will help you to embrace the paradox of acceptance and change. If you are interested in this coaching program, Beyond Borderline Personality please email me with your thoughts about the story that BPD dictates in your life at touchstonecoaching(at)rogers.com. If you would like to blog about your story, the thoughts and the emotions of your story in relation to having been diagnosed with BPD please email me at bpdinsideout(at)yahoo.ca. I hope you will check back to this site and join me on my Beyond Borderline Personality Facebook Page and on a journey of finding a middle path to a different way of framing what you think about what Borderline Personality is or has meant to you in your life. You can get beyond BPD. I did. You can. You really can. I am going to be sharing much more of just how I did get beyond Borderline Personality and what that means. 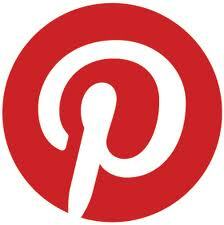 There is so much I still want to share with you. So much I have to add to the larger converstation out there in the BPD Advocacy world. A world of advocacy that I am somewhat on the sidelines of fundamentally because I do not believe that Borderline Personality is a brain disorder or a brain disease. I do not believe that you will be or have to be stuck with it. Biopsychiatry wants you to need them. Pharmaceutical companies want you to need to purchase their drugs. Both may well lead you to a greater lostness than you already know in your life. That is not how I got beyond BPD. That is not something I view as truth. It is disempowering you, not empowering you. Join me on this journey of learning how you too can move beyond Borderline Personality won't you? © A.J. Mahari, August 4, 2010 - All rights reserved. on The Psyche Whisperer Radio Show.